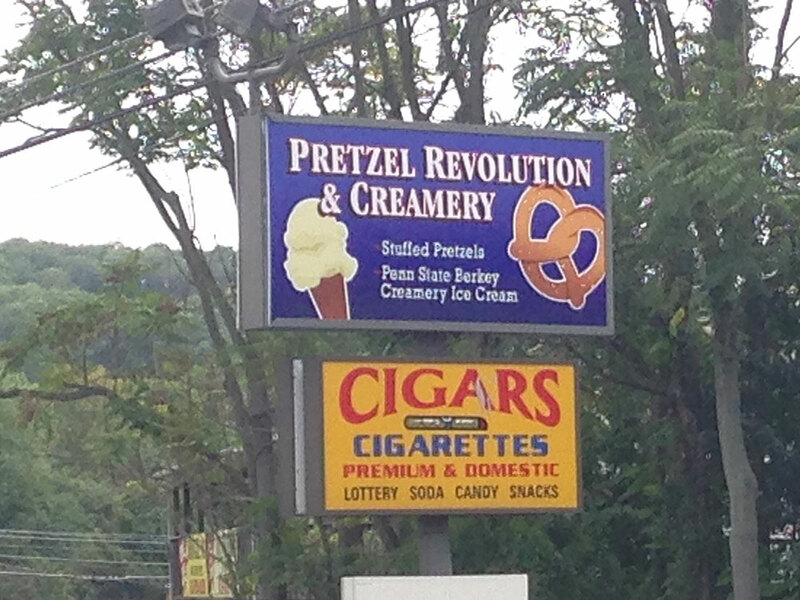 Pretzel Revolution, the Kutztown-based stuffed pretzel chain, is opening a new location in the former Donuts Divine on Route 12. The new restaurant, located across the street from Blind Hartman’s Tavern, is set to open today, according to a sign in the front window. In addition to the namesake pretzels, the restaurant will also be offering ice cream from the Penn State Berkey Creamery. Pretzel Revolution has a close relationship with Penn State, operating a stand in the Bryce Jordan Center in State College. 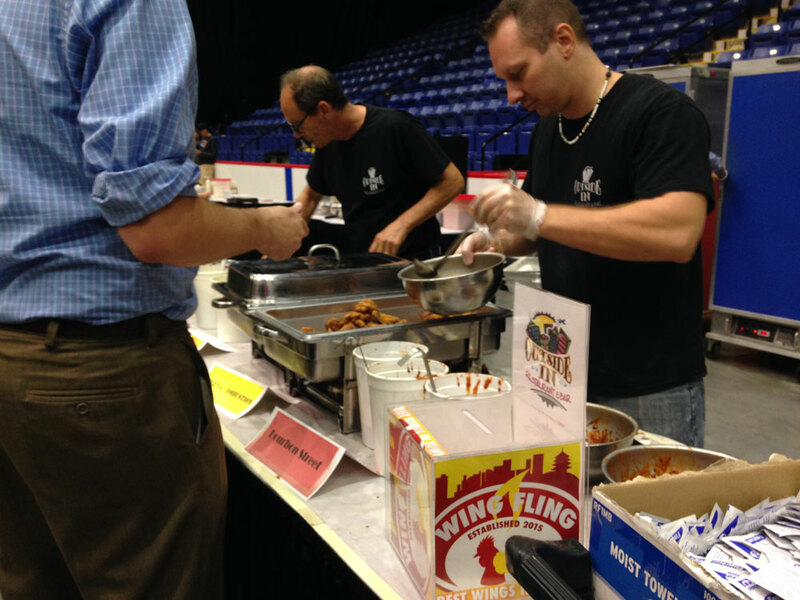 The Outside In took home the top prize in the inaugural Wing Fling at the Santander Arena on Saturday. The Reading restaurant picked up the most votes from attendees thanks to their three wing flavors: Bourbon Street, Internal Combustion and Chipotle Jack. Second place went to Mi Casa Su Casa. Third place went to the Peanut Bar. A full photo blog from the event will be published later this week. 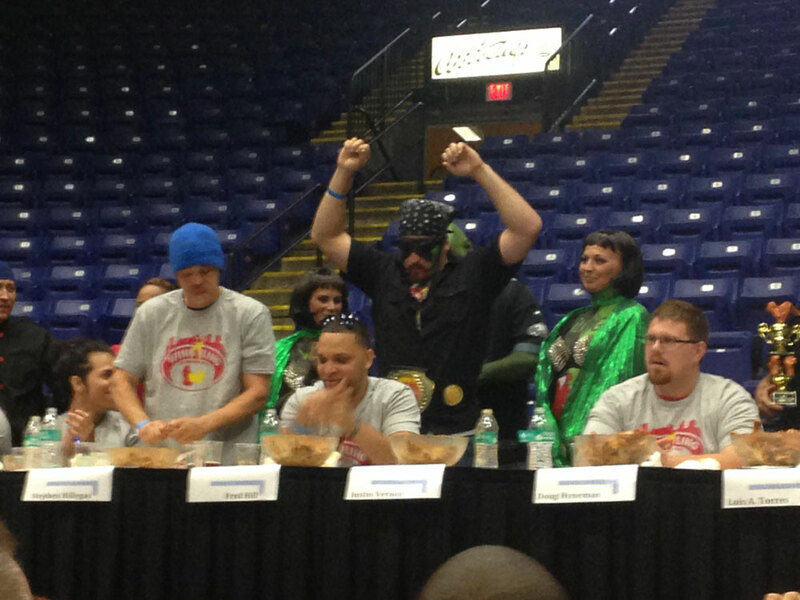 “The Jester” Justin Vernon earned the championship belt in the Wing Fling wing-eating contest. Vernon bested eight other eaters in the two-minute competition, earned $500 and an entry into next year’s contest.